Calling all foodies! 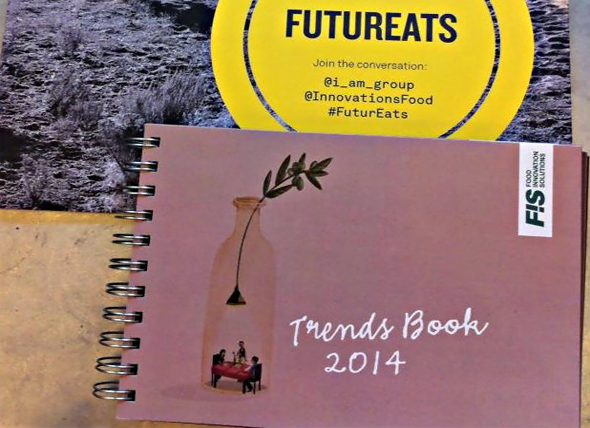 Following last week’s ‘FuturEats’ event, held in collaboration with FIS (Food Innovation Solutions), we are offering you the chance to win a copy of FIS’ 2014 Trends Book. FIS is a team of seven industry leader consultants, working with some of the biggest names in food retailing, manufacturing and restaurants. Their yearly publication, which retails at £195+VAT, is packed with all the latest trends in food and hospitality, including the hottest restaurants around. Their Trends Book is a fantastic source of inspiration for foodies and industry professionals alike. We will reveal winners on Friday the 20th of June via our blog and social media accounts. Good luck!